1. 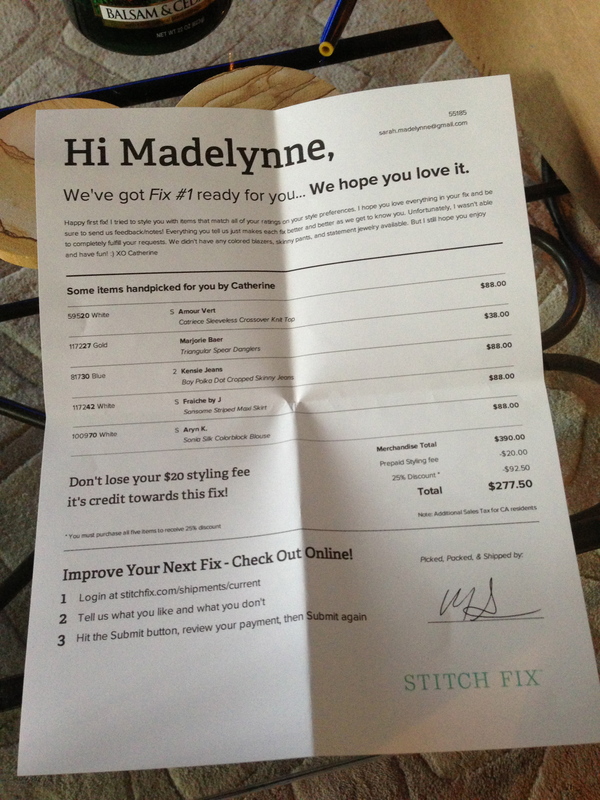 $20/Fix (or month if you sign up for monthly) – if you buy anything the $20 is a credit towards that item. 2. 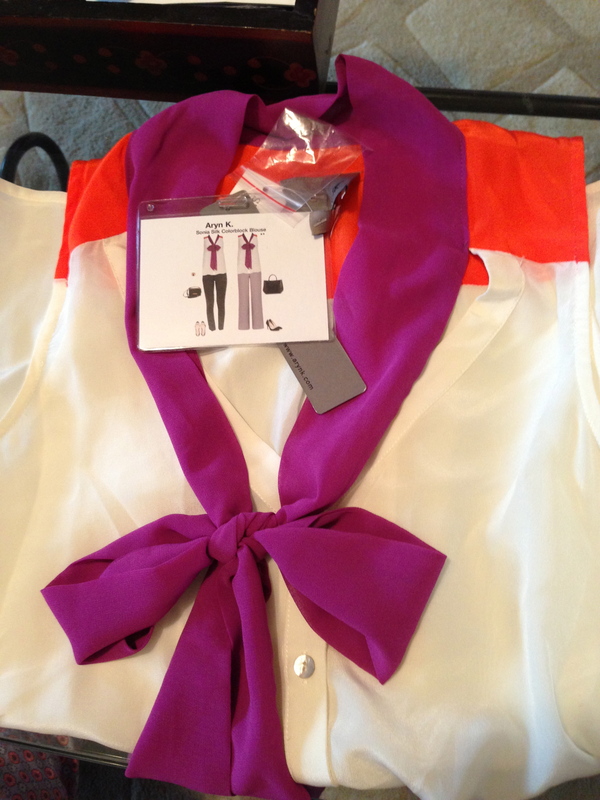 A shipment of 5 fashion items – My first box was 2 tops, 2 bottoms, 1 pair of earrings. 3. 25% off all items if you buy all five items. 4. 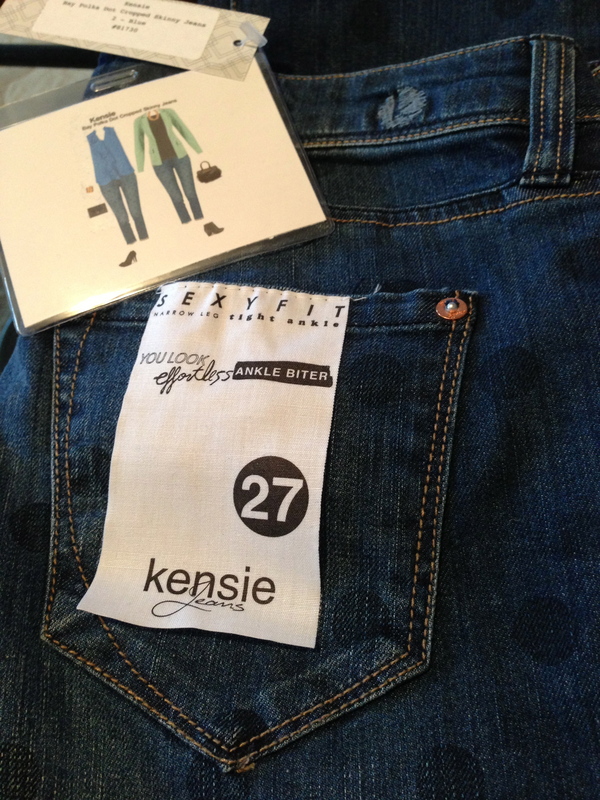 Customized based on a survey you fill out, you have a personal stylist that tries to match your likes and dislikes to garments in their collection. 5. By invite only – click here and sign up! I’ll get a $25 credit if you do! 6. Confusing? Any other questions can be answered here. 7. AWESOME! My friend Katie Nall told me about it, I signed up, and had to wait almost 2 months for my first box, but I was SO excited I could hardly stand it! My box came in looking all pretty and stuff! I literally stood and waited for the mailman to come into the leasing office because I couldn’t wait to open it! 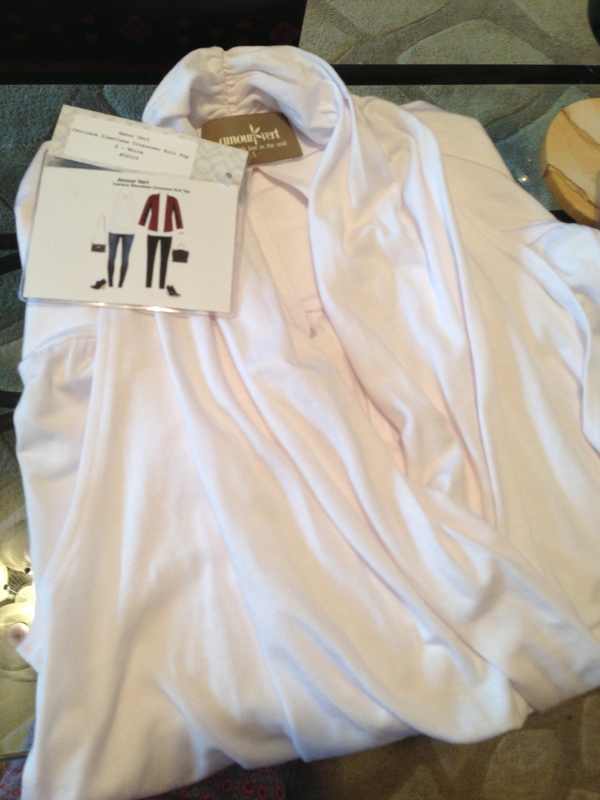 I really liked the cut and shape of this shirt, and I never would have picked it for myself which made it kind of fun, but at $88, that was just too much to spend on a white tee in my opinion. Here were the style options they offered up for this shirt. 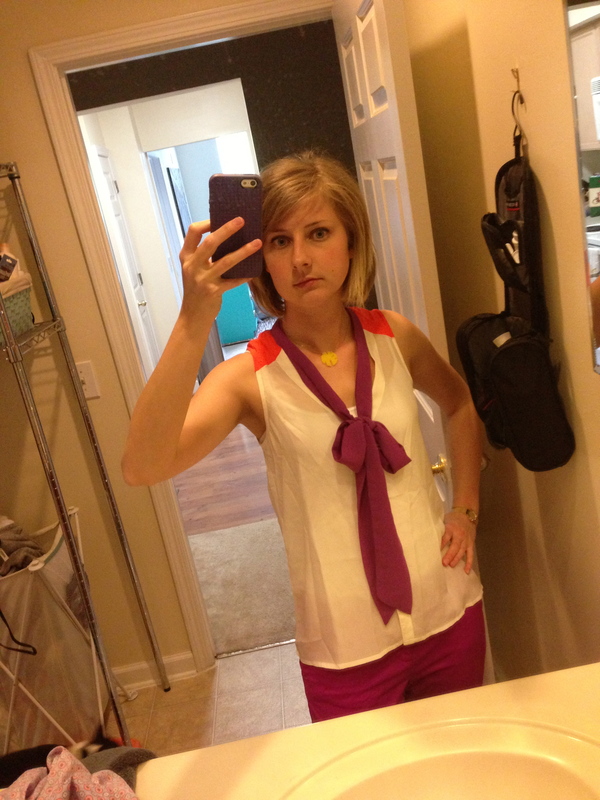 Love the one with the blazer – it’d make this shirt work appropriate! 2. 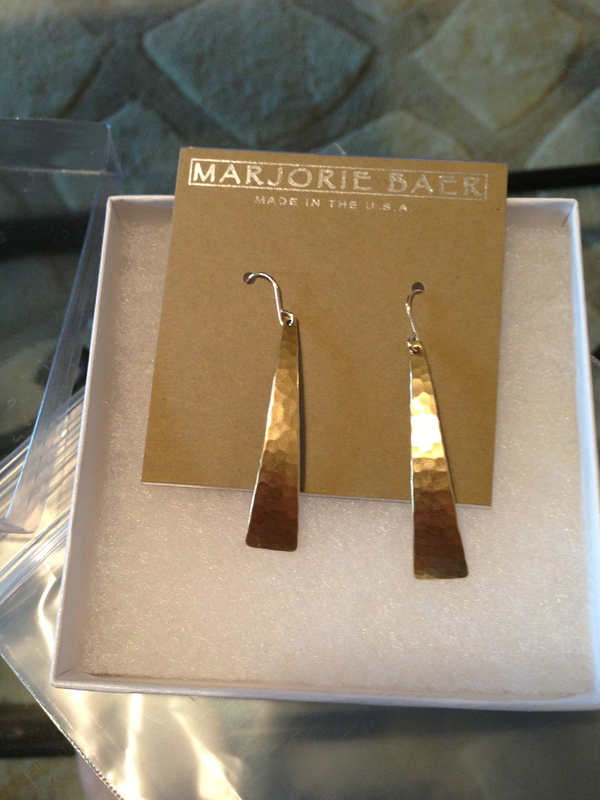 Marjorie Baear’s Triangular Spear Danglers – $38.These earrings were a really nice shape and I loved the hammered matte gold, but I would much rather have paid $18 than $38. I’m not one to spend a lot on jewelry that isn’t handmade. I kinda liked these, and kinda felt they were too junior. 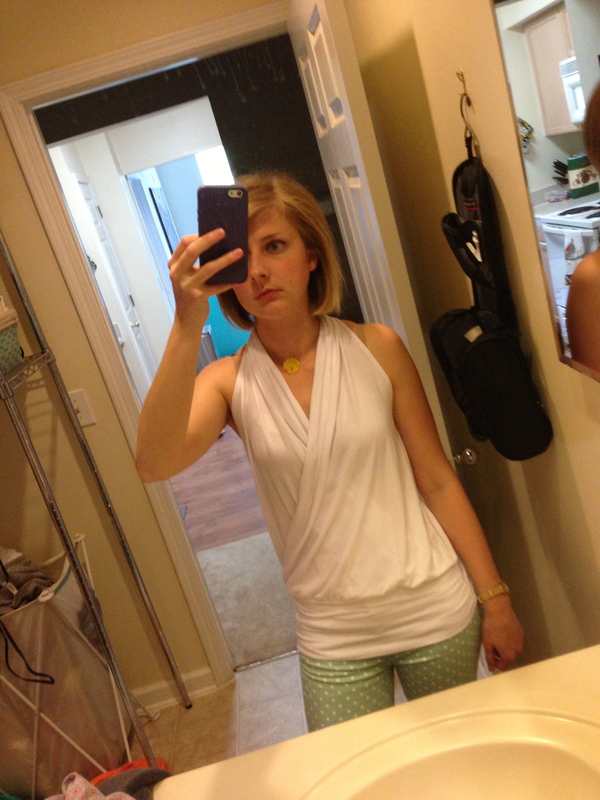 Not to mention I bought some polka dot pants a week ago (see pics 3 & 4 above), but the fit, shape, style was spot on. I just didn’t like the color / print! 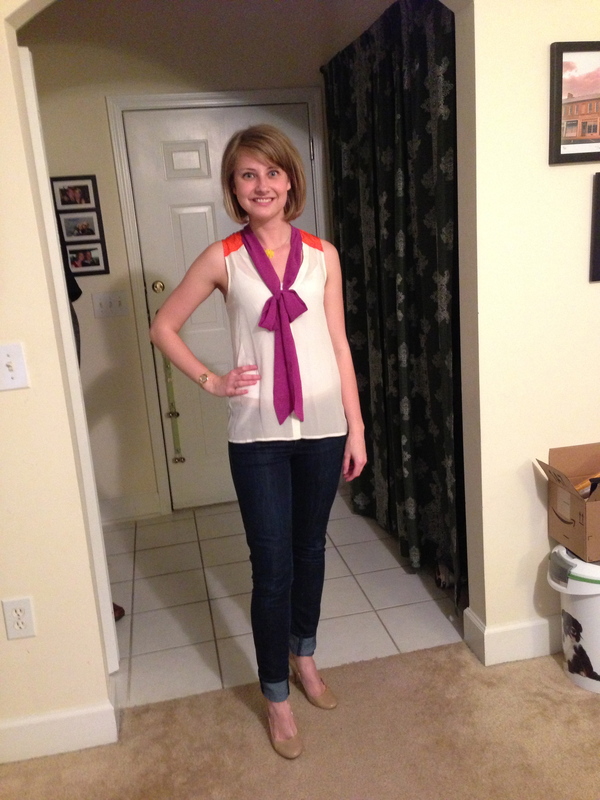 Notice that the 2nd style option is the shirt I’m wearing in the picture above! I actually really liked this skirt a lot, but the drawstring was bulky and the hips had to be covered as the skirt hugged me strangely. 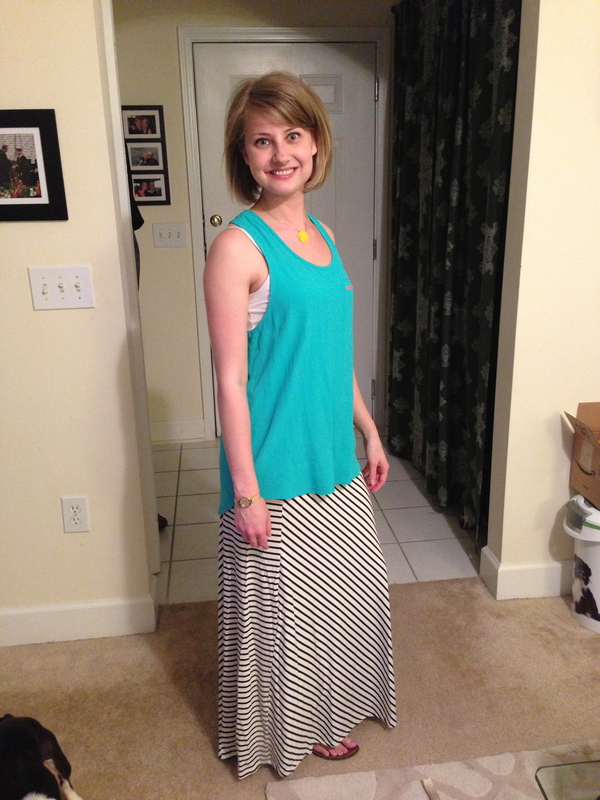 I will now actually consider buying a maxi skirt and I never would have had they not shipped me this! This shirt was non-negotiable! I loved everything about it! The colors were so fun and unique, the sheer fabric was awesome, and the shape / style very versatile, I could easily wear with a blazer for work or skinny jeans / black dress shorts and heels for a night out! Definitely a must for my wardrobe! 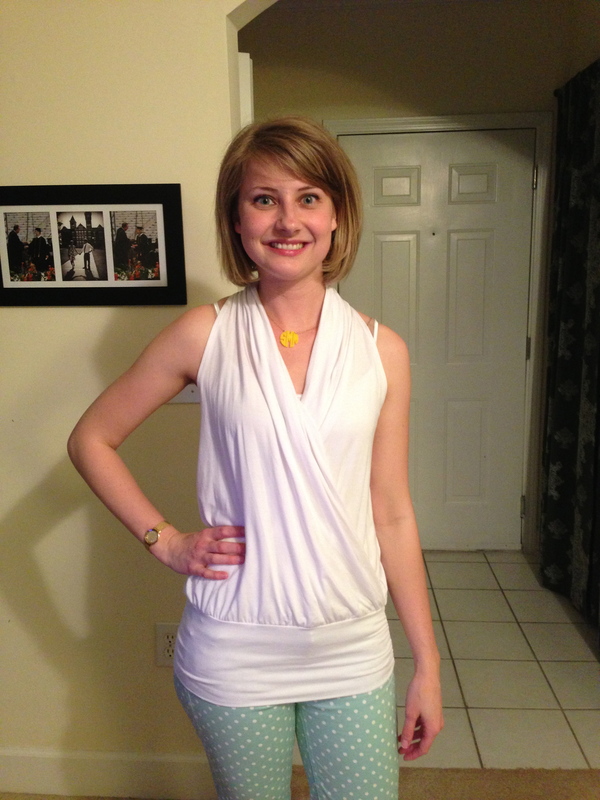 The style options were kind of uninspired for this look! I thought of better ones on my own! So of my first five items in my fix, I only kept item #5, but that was mainly because of the prices. 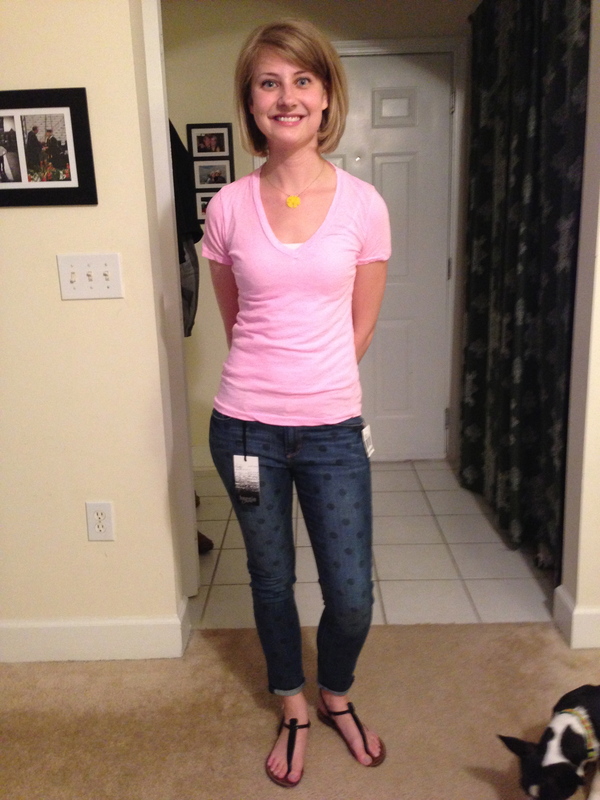 I seriously liked all of it except for the polka dot denim! This was so much fun – I cannot wait until my next fix! 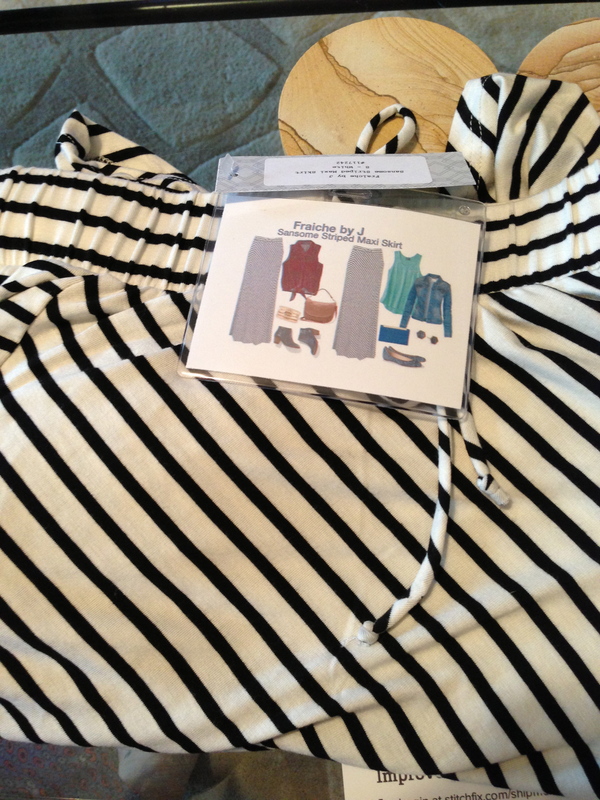 I requested beachy items for my upcoming Memorial Day family trip! 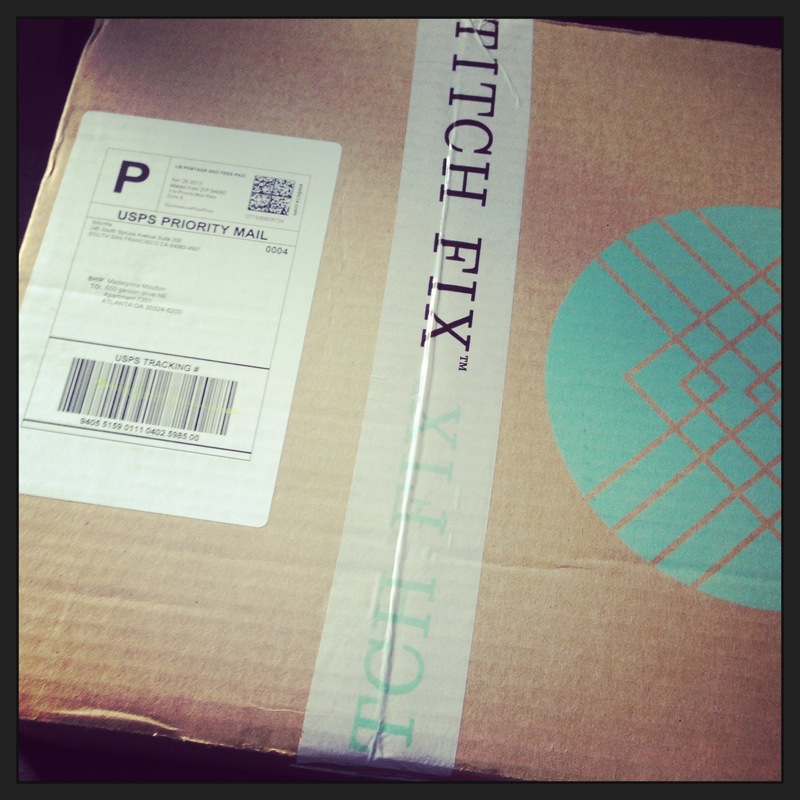 Check out Stitch Fix and sign up! It was so much fun! Which items did you like most? Did you agree with my decisions?